Most of the wines reviewed here are from the 2013 and 2014 vintages. These were contrasting years, with 2013 being more challenging because of drenching rains in late September. 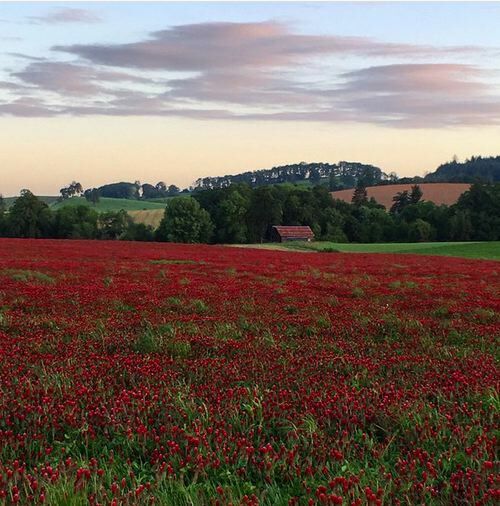 2014 will go down as the warmest growing season in recorded history in the Willamette Valley, with moderate temperatures throughout the growing season well into mid-October. 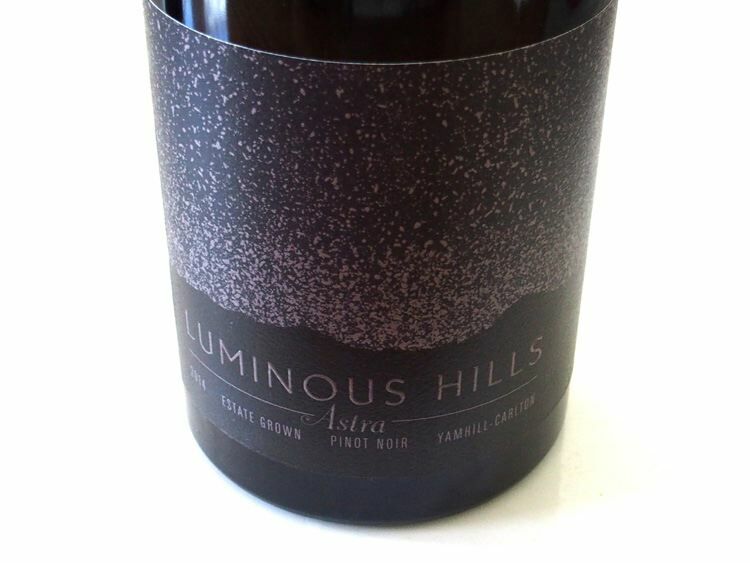 As a result, the 2014 Pinot Noirs are generally riper, more sappy wines with lower acidities, while the 2013 Pinot Noirs are more typical of what we have come to expect from the Willamette Valley with more vibrancy, less extraction and lower alcohols. Yields were noticeably higher in 2014 than 2013. There are still some stellar wines available as well from the glorious 2012 vintage. Located on a southwest-facing slope in Oregon’s Chehalem Mountains AVA, this 78-acre vineyard site is personally cared for by founder David Nemarnik. Wines are limited production and 100% Estate from a LIVE and IOBC Certified Sustainable vineyard. Pinot Noir blocks are composed of Dijon clones 777, 667, 114 and 115 along with Pommard clone planted in Laurelwood series soils. Winemaker and General Manager Tom Fitzpatrick is Burgundy trained and educated at the University of California at Davis. His focus is on “elegantly composed, terroir driven wines.” The tasting room is open Thursday through Monday year round. 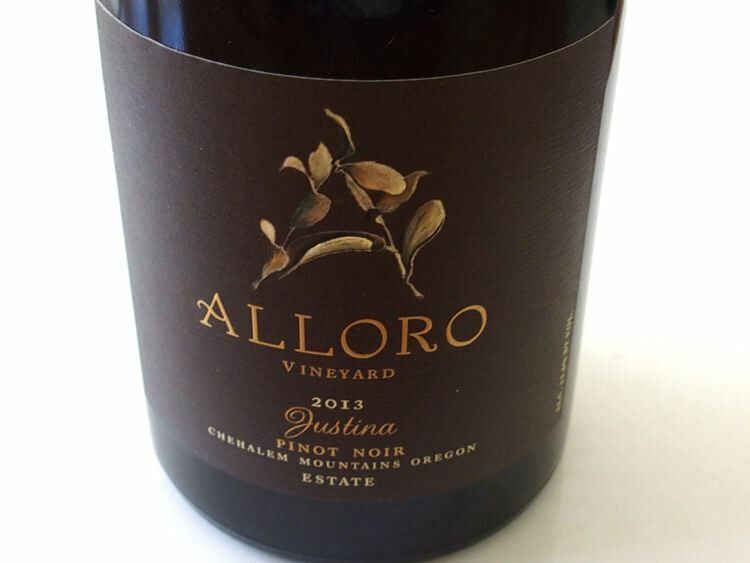 Visit www.allorovineyard.com. The Pinot Noirs are 100% de-stemmed, undergo no cold soak, are inoculated for a warm primary fermentation, followed by native malolactic fermentation in barrel, and aged 10 months in French oak barrels. Most of the Pinot Noir was picked before the torrent of rain than came in 2013 the last week of September. ÉLEVÉE Winegrowers grow wines from diverse sites in Oregon’s Willamette Valley. In 2008, after years of professionally growing and crafting wines for others, winemaker Tom Fitzpatrick was presented with an opportunity when Archery Summit’s Gary Andrus decided to sell a very special, high density microsite with volcanic Jory soils in the Dundee Hills. Andrus had planted the vineyard in 1998. Tom and France Fitzpatrick bought the vineyard and named it ÉLEVÉE Vineyard. This LIVE and IOBC Certified Sustainable vineyard is personally farmed by the proprietors and each year a single wine is crafted from this site to show the elegant and seductive personality of this vineyard. In 2016, two more sites were acquired: an Eola-Amity Hills site with volcanic Nekia soils and a Chehalem Mountains site with Laurelwood soils. Visit www.eleveewines.com. Lifelong winemakers Steve and Carol Girard founded this winery. High school sweethearts whose families loved wine, they began their wine journey in the Napa Valley where they established their first winery together, Girard Winery. They soon developed a passion for Pinot Noir and began searching the world for a Pinot Noir vineyard. They found Sunnymount Ranch in the foothills of the Willamette Valley Coast Range near the village of Monroe. The Girards bought the 1,860-acre property in 1988 and began the planting of Pinot Noir the following year. The first Benton-Lane wine was produced in 1992. A winery was built in 1997 and the vineyard has grown to 142 acres of Pinot Noir, Pinot Blanc and Chardonnay. Benton-Lane wines are made from 100% estate grown grapes. Since 2005, Benton-Lane has received more Top 100 Wines of the Year for still wines than any other Oregon winery. Check the website at www.benton-lane.com for tasting room hours. This vineyard has been run by the Johnson family for three generations for more than 30 years. 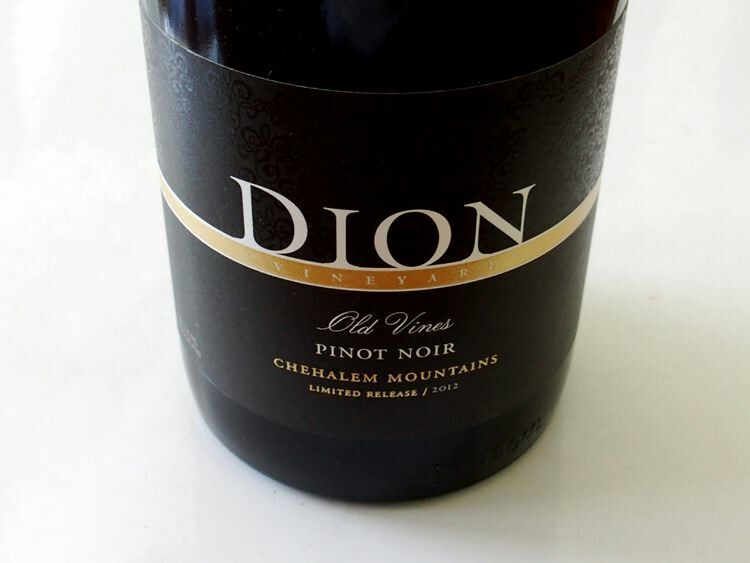 Grapes are sold to multiple wineries throughout Oregon and small quantities of estate grown wine are produced under the DION label. The 60-acre vineyard is located in the Chehalem Mountains AVA the Northern Willamette Valley. The Pinot Noir, Pinot Gris and Chardonnay vines (some of which date to 1976) are rooted in Laurelwood soils at elevations of 300 to 500 feet. The winery tasting room is open Saturday and Sunday from April to November. Visit www.dionvineyards.com. Mike Hinds, owner and winemaker, is the great-great-great grandson of Gabriel Franchère, a native of Montreal who explored Oregon for three years beginning in 1811. Mike developed an obsession with wine as a young man, and after working in wine shops in Chicago, Illinois, returned to Oregon to begin winemaking and viticulture classes. He became a cellar worker at Illahe Vineyards, the winery where he began making the Franchere wines in 2013. Mike’s wines are sourced from sustainable, dry farmed vineyards. No new oak, no adjuncts, no tannin or enzyme additions, no temperature control, no fining or filtering of Pinot Noir. Visit www.francherewine.com. For over 100 years, the Bayliss family has farmed 230 acres on Savannah Ridge in what is now the Yamhill- Carlton AVA. 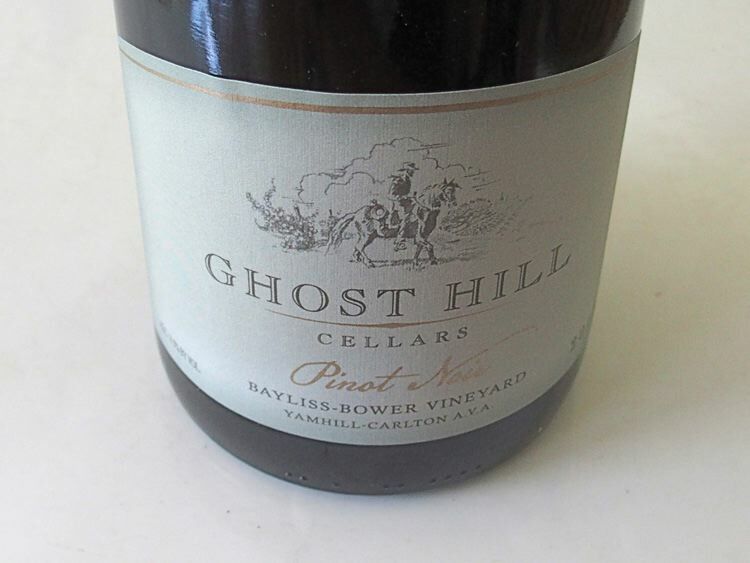 The Bayliss-Bower Vineyard was planted to 15 acres of Pinot Noir in 1999, and the first Ghost Hill Cellars wine was released in 2006. The vineyard is planted to Pommard, Wädenswil, and Dijon 777, 114 and 115 clones. Ghost Hill Cellars is LIVE certified and Salmon-Safe. The winemaker is noted Oregon veteran Eric Hammacher. A quaint tasting room, modeled after a prospector’s shack, and built by owner Mike Bayliss and son Michael, is open seasonally Friday-Sunday 12:00 p.m. to 5.00 p.m.
Luminous Hills is a highly photogenic 12-acre vineyard located in the Yamhill-Carlton District owned and farmed by Byron and Dana Dooley who also produce Pinot Noir under the Seven of Hearts label. Clones 115, 667, 777 and Pommard are planted to match both Jory volcanic and sedimentary soils. The non-irrigated vineyard is certified LIVE and Salmon Safe. Three wines are produced from this site: an estate bottling, a LUX bottling representing a special selection of barrels combining Pommard and 777 clones, and a bottling named ASTRA that is primarily whole cluster fermented. The inaugural vintage from this vineyard was 2008. The winery’s tasting room is located in Carlton. Visit www.luminoushills.com. Fifth generation Newberg resident Ken Austin III and his spouse, Celia, planted the first vines on their estate in the Chehalem Mountains in 2008, a few months after the Austin family began building the Allison Inn & Spa. The 15-acre Rain Dance Vineyard is planted to Pommard, Wädenswil, and Dijon clones 115, 667, 777 and 943 in Jory soil. Today Rain Dance Vineyards owns seven estate vineyard sites totaling 120 acres, 59 of which are currently planted. All vineyards are dry farmed using sustainable practices and are Salmon Safe and LIVE certified. The Austins had previously established Rain Dance Ranch in 1991 that became one of the country’s premier llama ranches and llamas are a prominent fixture on the hillside of Bell & Herd Roads in Newberg. 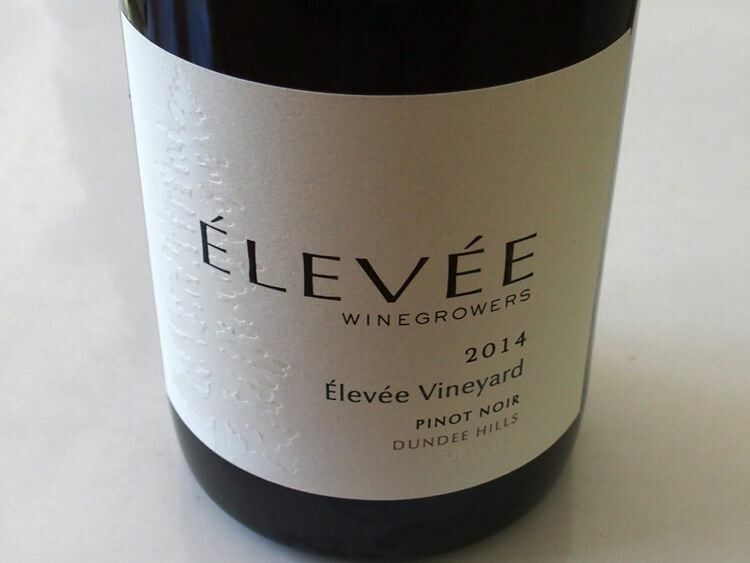 The first Estate Pinot Noir from the 2013 vintage was released May 1, 2015, crafted by winemaker Bryan Weil who has winemaking experience at Domaine Serene, Tyee Wine Cellars, and Alexana Winery, all in Oregon. The winery’s tasting room is located just off the corner of Bell Road and Highway 219 at the base of the Chehalem Mountains AVA in the Rain Dance Marketplace. A flagship Estate Pinot Noir and member exclusive Reserve Pinot Noir are offered. Tastings are available Tuesday through Sunday. 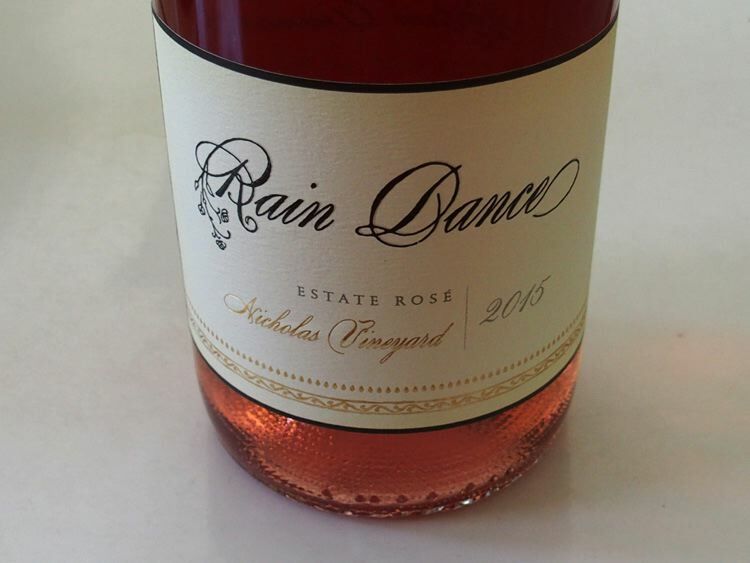 Visit www.raindancevineyards.com. Prices are quite moderate considering the high quality. This label offers wines from distinct appellations within the Willamette Valley and neighboring regions, including specific vineyards and portions of vineyards that show unique characteristics. Seven of Hearts is about exploring vineyards other than the estate Luminous Hills Vineyard as well as other varietals. The label, with its neo-classical elements, symbolizes winemaker Byron Dooley’s passion for traditional old world style wines. 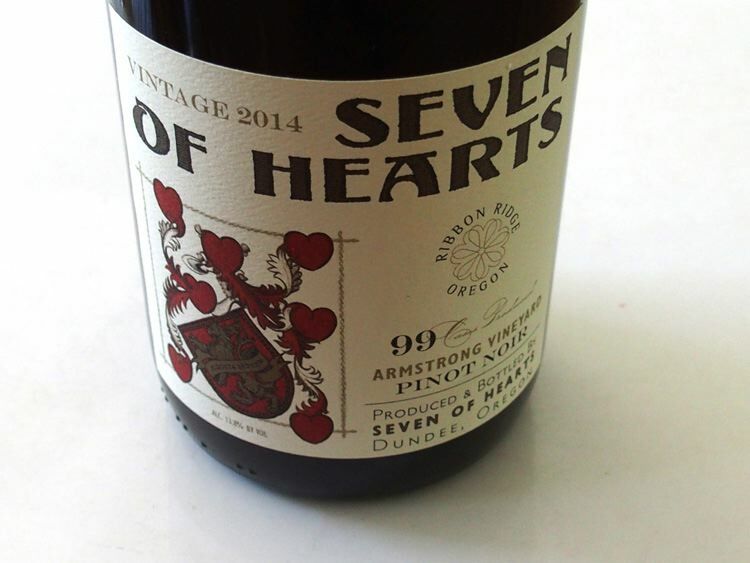 Visit the website at www.sevenofheartswine.com. Owner and winemaker Vincent Fritzsche launched his winery in 2009 after years of working at other wineries in Oregon and California. He sources fruit from several sustainably farmed vineyards in the Willamette Valley. 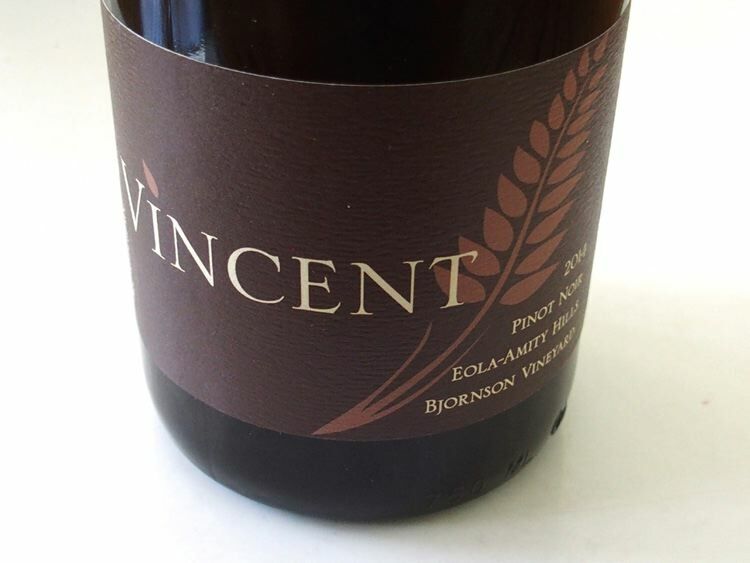 The name, Vincent, is of course the owner’s name, but also the name of his uncle and maternal grandfather, and pays homage to the 4th century Saint Vincent of Saragossa, Spain, the patron saint of vintners. Formerly a member of Portland’s Southeast Wine Collective (tasting is still available here), the winery is now located at Grochau Cellars in the Eola-Amity Hills near McMinnville (tasting only by appointment here). Visit the website at www.vincentwinecompany.com. This winery was founded in 2005 by Matt and Jean Driscoll after years of immersing themselves in the Willamette Valley wine scene. They started the journey in the mid 1990s by a chance visit to Oregon to attend a friend’s wedding. 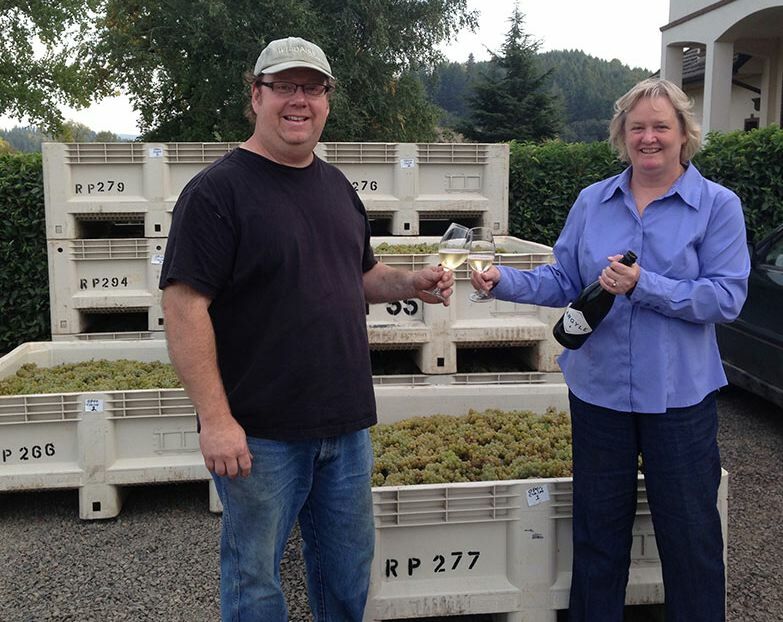 After getting married in 2000, they moved from Virginia to learn all aspects of the wine business in Oregon. Matt embarked on multiple vintages of winemaking experience and oversees the production for WildAire, while Jean focuses on sales, marketing and the business side of the winery. Besides their single vineyard, Reserve and Timothy Pinot Noirs, they produce Chardonnay, Riesling, Tempranillo and Syrah. 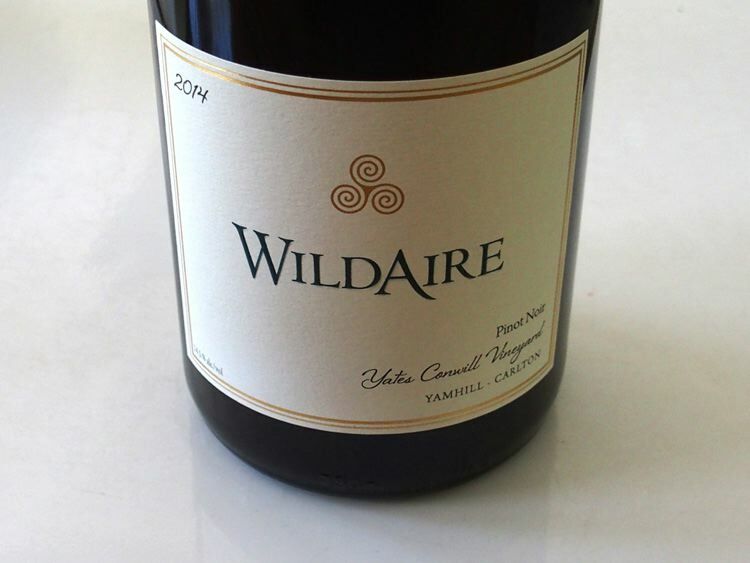 Visit the website at www.wildairecellars.com.